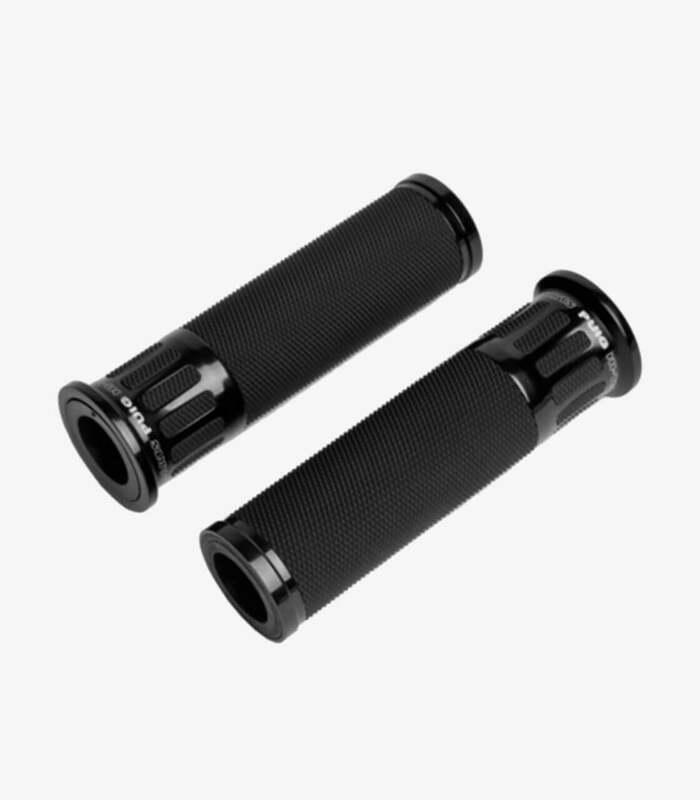 Get now the motorcycle grips Racing model from Puig in color Black. 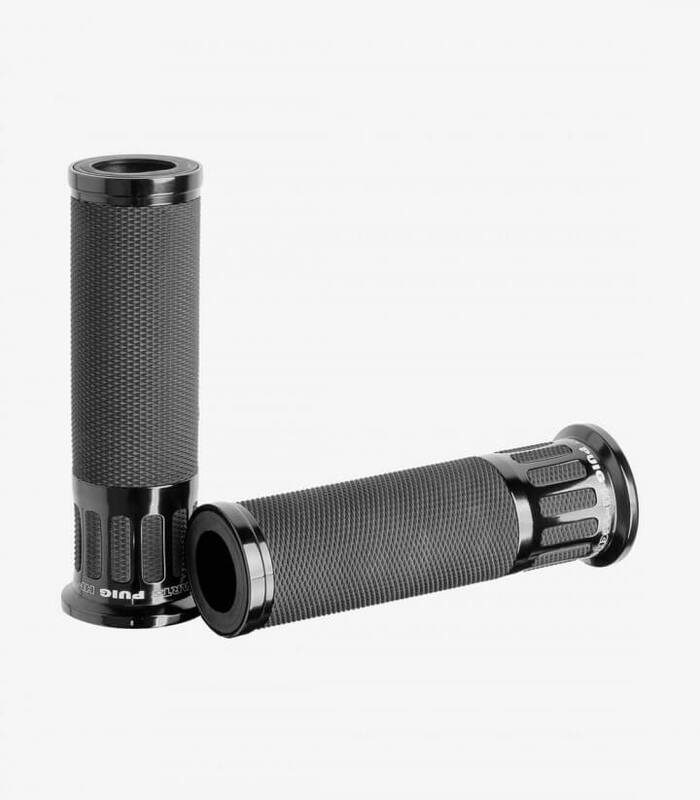 Puig’s racing grips maintain the ascent’s simple design with the peculiarity of having rubber inserts in the internal aluminum block. These grips offer an excellent grip thanks to their anti-slip rubber, without lacking a breaking design that won’t leave anybody indifferent. The metallic details of the grip are available in black, silver, Golden, red, carbon simile, blue and green, so you can combine it with your bike’s color. Thanks to its lightweight aluminum construction, the grip only weights 68 grams, weighing almost the same as the ones from default. The rubber’s texture with which it’s made is anti-slip, preventing hand slips under any circumstance. 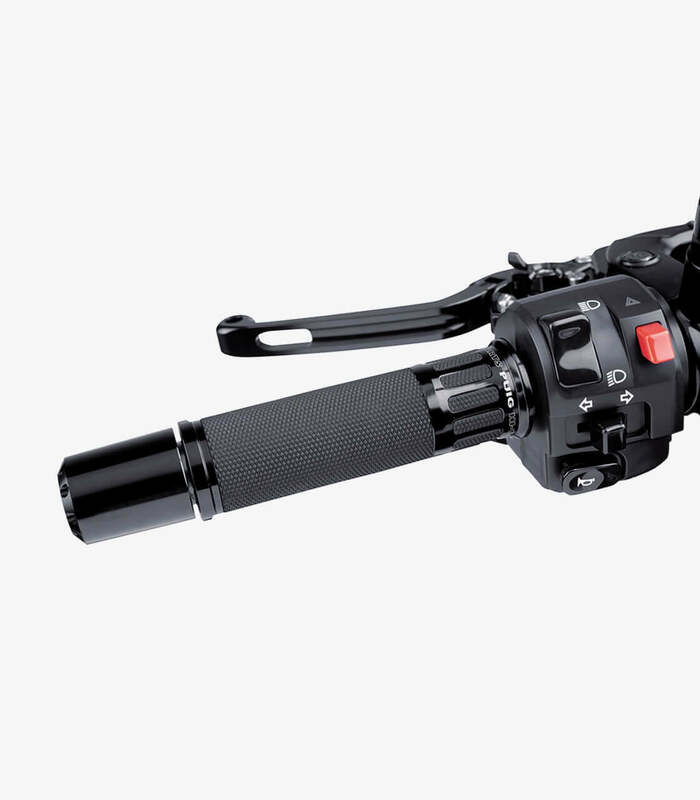 It can be adapted to 22 millimeters handlebars (the standard in handlebars). The grip is available for both 119 millimeters long, which is the standard in bike’s grips, as well as 123 millimeters. We recommend you measure the grips you actually have to know the measure you need. Important: Since there’s a lot of diversity of original grips it’s possible it’s necessary to reduce the gas shank’s edges and use any sealing glue so that it’s well fixed. Only a small portion of bikes are going to need this adjustment.